Here come Pete White and Jefferson Twilight! 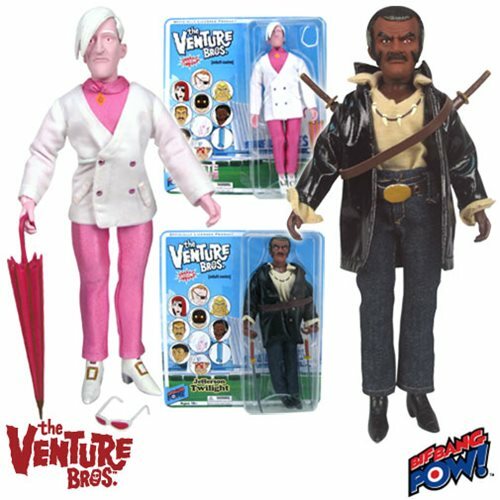 Jefferson Twilight, the black man who fights blaculas in The Venture Bros., is dressed to kill (so to speak) in a series-true outfit that includes a vinyl belt, strap, and shoes. His face is accurate, too, including his red "Blood Eye," and he comes with two custom-made katana swords and sheaths accessories.